A CFD demo account is a trading account that best CFD brokers offer their customers. A CFD demo account is extremely practical because it allows you to trade using real trading platforms under real market conditions but with virtual money. Since you’re using virtual money, you don’t end up risking any of your real money but on the other hand, you can’t make a real profit either. These demo accounts let you trade Forex, Stocks, Crypto and more. The benefits of a demo account for CFD trading are many, but they are mostly used by beginners that want to practice trading before investing their hard earned money. Demo accounts are also used by people who want to test a broker out before signing up for a real trading account. A free CFD Demo account is very similar to a free forex demo account. A demo account will let you test the broker without risking any capital. Its an excellent way of testing trading strategies without risking your capital. As a complete beginner, a CFD demo account will let you try trading without any risk. Beware that trading with real money is very different. We can highly recommend the IG Markets demo account. We also want to warn our clients that all trading is associated with risk. Never invest money you can’t afford to lose. A demo account is one of the most important tools for traders today. It’s a free, no risk trading account that you can use to practice trading with virtual funds. All of the best brokers offer demo accounts in one way or another, and it’s something you need to consider using. Just imagine being able to trade on a regular trading platform under real market conditions, but without the fear of losing any real money. It’s an amazing opportunity that day traders didn’t have just a few years ago. Obviously, you won’t be able to make any money from trading with a demo account, but you can learn and improve your skills so you have better opportunities for in the future. A forex demo account is one of the most powerful tools to help you get better at forex trading. Sometimes demo accounts are called simulation accounts or test counts. Whatever you decide to call it, a forex demo account is always the same thing: a trading account with virtual money that you can use for risk-free trading under real market conditions. In fact, a demo account is so practical that we all have active demo accounts with every broker we use, and trust us when we say that we use them often. Demo accounts offer three main solutions. First and foremost, it’s a tool used by beginners to learn how to trade forex. Second, it’s a tool that can be used to assess and evaluate new brokers. And lastly, it’s a tool that can be used to develop and test forex trading strategies. Because of this, we always recommend that everyone who’s looking to trade forex opens a demo account. In order, to explain the reasons why even further we decided to dedicate this section to everything related to forex demo accounts. First things first, how do you open a CFD demo account? In most cases, it’s very easy to open a demo account. Most brokers that offer demo accounts are very open with the fact that they do and most of the time you can find large buttons on the broker’s website saying “Open a Demo Account.” It’s not uncommon for there to be two buttons – one to open a demo account and one to open a regular trading account. There are a few different processes used to open these accounts, but most often all you have to do is provide some personal information such as your name and email to get started. Many people want to test a service out before they commit to it and a broker that has a solid platform and a good selection of assets knows that they can convince you to start trading for real money if they first let you trade for free. Note that some brokers require you to open a regular trading account and make an initial deposit before you get started trading with a demo account. Today, most brokers offer demo accounts in one form or the other. To a broker, a free demo account is a sales technique since it can be used to prove why they are the best broker without you having to pay for it. But it’s also a way to be transparent and shows that they are serious. A scam broker would avoid offering a free demo account since they don’t make any money from it. Naturally, this means that all best trading platforms on BullMarketz.com – with a few exceptions – offer free demo accounts. The setup and terms differ a bit from broker to broker but in general, the accounts are free with unlimited amounts of virtual money. Remember that all the brokers we recommend are regulated, authorized, and licensed by the strictest regulatory bodies in the industry. That means you can use their services without having to worry about your personal information or funds. Not sure where to start? The following brokers are currently the best ones on the market and they all provide leading CFD demo accounts. There is no definition of what the best CFD demo account looks like, but we have a few guidelines that you can follow to find a really good one. Free – In our opinion, a CFD demo account has to be free otherwise there is no point to it. We don’t want to have to pay to open an account and brokers that require an initial deposit kind of ruin the purpose of a free demo account. Unlimited – We also believe that the best CFD demo accounts should be unlimited. Most leading brokers provide their users with between $10,000 and $50,000 in virtual money, and we prefer the ones that keep filling the virtual bankroll up when needed. Unrestricted – One of the main reasons brokers offer CFD demo accounts is to give investors a chance to test their platforms, this is especially important for brokers that have developed their own platforms. Because of this, we think the best CFD demo accounts are as unrestricted as possible, meaning you get full access to the platform and all of the tools. Availability – United Kingdom, India, Brazil, Mexico, Spain, Russia, Romania. Ukraine, Vietnam, Argentina, France, South Korea, Japan, Thailand, Colombia, Malaysia, Germany, Canada, Italy and simply too many countries to list. Check each brokers availability in your region, not all brokers are on the same license and regions. A demo account is a trading account that can be used to invest in a risk-free environment under real market conditions. They are offered by CFD brokers to let beginners practice trading and to let more experienced traders practice investment strategies and new techniques. Most of the time it’s very easy to set up and get started with the best demo account and CFD brokers are always very open to the fact that they offer them. Almost all of our recommended brokers offer free CFD demo accounts and these accounts are the best way for you to try several different brokers in order to find the one that suits you the best. 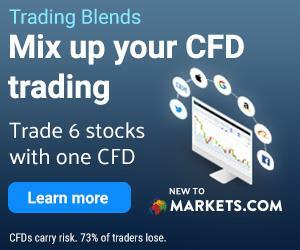 In fact, if you’re looking to start trading CFDs or you’re interested in changing your broker, we suggest you sign up for a free CFD demo account right now. When it comes to general trading, also known as day trading, there are a few brokers that are pretty solid picks overall. Brokers that offer Forex trading, Stock trading, and Cryptocurrency trading, all via CFDs. We are going to give a short introduction to list a few brokers we think are best for a demo trading account. When it comes to a day trading simulator, one of our goals, is to list the ones that are free of charge. 24Option has been around for ages and is a well-known brand in the industry. In fact, 24Option is considered to be the best forex broker in Europe. They started out in binary options but have since rebranded their platform and now offer CFD trading, forex trading, stock trading, and cryptos. We think 24Option is a great pick for opening a demo account as they excel in education. The demo account which is free of charge comes with $100,000 in virtual funds and is easy to sign up for. Plus500 is another major broker, and they offer one of the best free trading demo accounts on the market. One of the great benefits of Plus500 is the huge selection of assets they offer as well as their in-house developed award-winning platform. Make sure to try this demo account to optimize your own opportunities today. Remember that it’s easy to switch from your demo account to your regular trading account in case you want to test a new strategy. eToro is a versatile broker with a 100% free demo account. What makes eToro so great is that they also offer copy trading and a huge social trading network. You can literally copy and follow other professionals to maximize your own profits. Signing up for a free demo account with eToro is really easy. 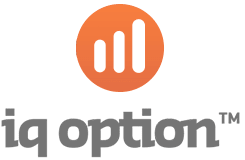 If we had to pick one broker to rule them all when it comes to demo accounts it would for sure be IQ Option. Not only is it very easy to sign up with them, but you also get full access to the best platform in the industry. This broker is a must try, trust us. Trade on stocks, forex, cryptocurrencies, ETFs, and more using a world-renowned platform and switch between your demo account and regular account with one click. Markets.com has been one of our favorite brokers for a long time and when they decided to only offer the MetaTrader 5 we got more excited than ever before. Today, they offer more than 2,000 assets, amazing customer support, and a great and completely unlimited demo account. In fact, Markets.com was one of the first demo accounts we ever opened and we still use it regularly to this day. A big part of our strategy to help you become better at forex trading is recommending reliable brokers. In order to help you decide which brokers demo account you would prefer, we will compare them for you. We’ve already mentioned that a demo account can be limited or unlimited (preferred), and that is usually the biggest difference. The amount of virtual money offered can also different but it doesn’t really matter if you use an unlimited account. Another thing to look out for is if the demo account is free. We like to avoid demo accounts that require a minimum deposit to be activated. Below you’ll find a list of our recommended brokers and the demo accounts they offer. Remember that this is only a quick overview and that you can read a detailed review of every broker by clicking the appropriate link. Avatrade demo account – offers a demo account with 200,000 EUR which is one of the biggest amounts we’ve come across. BDSwiss demo account – offers a demo account for forex trading but you need to contact their customer service to activate it and the terms often change. 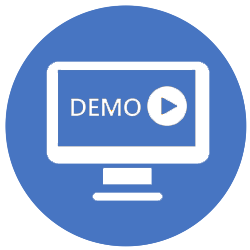 ETX Capital demo account – offers two different forex demo accounts. One is developed for the trading platform called MetaTrader 4 (MTS) and the other one is for the platform called TraderPro. IG Markets demo account – offers a free and unlimited demo account with 10,000 USD. Plus500 demo account – (CFD broker) also offers an unlimited demo account that gives you access to all their industry-leading tools. Your capital is at risk. eToro demo account – offers an unlimited demo account but you have to open a regular trading account before you get access to your virtual money. FxPro demo account– offers demo accounts for MT5, MT4, and cTrader. The accounts are unlimited with up to 200,000 USD at the time and leverage reaching 1:500. Markets.com demo account – offers what we consider to be the best demo account on the market. The Markets.com forex demo account comes with 10,000 USD that gets topped up when needed. Which broker offers the best demo trading account in the UK? Most of the brokers we are reviewing offers both demo accounts and real accounts to UK based clients. To operate in the UK a broker needs an FCA license. FCA is short for the Financial Conduct Authority. These guys are the good guys that make sure the brokers are acting accordingly and following all the regulation. Regardless if you are signing up for a trading demo account or a real account, you want the broker to have an FCA license if you are based in the UK. The brokers listed above are all great options if you are looking for a demo account in the UK.